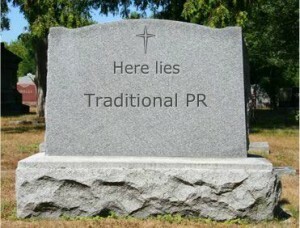 If I had a dollar for every time I’m asked if PR is dead, I’d be richer than the Koch brothers. The answer is NO; not by a long shot. Here’s why: The world changed after Donald Trump became president, Fake News infiltrated everyone’s in-box and mega societal events began happening on a daily basis. All of a sudden, digital advertising or a new website or a customer experience audit or data crunching didn’t quite seem so urgent. Companies found themselves front and center having to deal with either a positive or negative POTUS tweet, a policy decision such as curtailing immigration from Middle Eastern countries, mass shootings, white supremacist torch light parades, NFL players taking a knee during the national anthem and so on and so forth. Employees expected their CEOs to address the issues and explain the company’s position. GlassDoor conducted a fascinating survey this past spring of hundreds of American workers. The results showed that staying quiet in the midst of, or in the immediate aftermath, was no longer acceptable to them. They wanted their CEOs to speak up. And they, too, wanted permission to publish their views on their private channels. Suddenly the CCO and her top PR counselors rose to the very top of every CEO’s list. The stakes were enormous: say the wrong thing and the company stock price might plummet. Remain neutral and sales could dip. Even saying the right thing would inevitably alienate some percentage of the company’s audience. The very best CCOs immediately rose to the challenge and began scenario planning, evaluating their vulnerabilities as well as anticipating what their CEO’s response should be. They also took the lead in deciding which “channel” was the most appropriate venue to air their POV. Many chose Twitter. Others went to trusted beat reporters to correct erroneous charges. The CCO also became THE steward of the C-Suite, making sure that immediate post-crisis messaging was aligned with their peers in HR, sales, investor relations and other disciplines. And they worked diligently with their in-house counsel to create “generic” responses to multiple potential vulnerabilities and had them approved in advance. That enabled the CCO to immediately craft the CEO’s statement and not worry about the legal implications. I have enormous respect for our marketing peers and, with the walls crashing down all around us, fully embrace integrated marketing communications. But, when split-second commentary needs to be crafted after, say, a Charlottesville incident, the other disciplines are simply lost at sea. 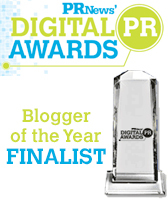 PR has long served as the moral and ethical compass of the organization. The function has also taken the lead in crafting an organization’s corporate purpose. That, in turn, has become the North Star in terms of saying exactly the right thing in the right tone and through the right channel. The same holds true for PR. This entry was posted in Business, Current Affairs, Leadership, Public Relations, Reputation Management, Society by Steve Cody. Bookmark the permalink.